Gwen Verdon (left). Photo courtesy of The Verdon Fosse Legacy LLC. Gwen Verdon is remembered as one of the greatest triple-threats to have graced the Great White Way. You’d be surprised to learn that Verdon was horribly knock-kneed as a child — so much so that doctors wanted to break her legs so they might heal in a more aligned manner. 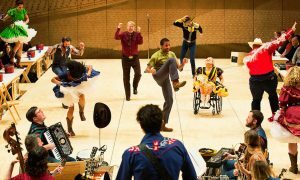 Instead, Verdon’s mother enrolled her in dancing lessons in the hopes that the technique would strengthen and straighten her daughter’s legs — and it did. Verdon grew up studying all kinds of dancing, from ballet and tap to Flamenco and even Balinese. Gwen Verdon. Photo courtesy of The Verdon Fosse Legacy LLC. In her early professional career, Verdon both danced for and assisted Jack Cole, the “father” of jazz dance. In this role, she got to train such starlets as Marilyn Monroe and Rita Hayworth in preparation for their blockbuster Hollywood films. Verdon made her way from Los Angeles to New York City when she assisted Cole and performed in her Broadway debut, Alive and Kicking. 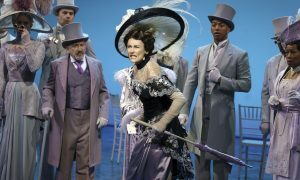 Her breakthrough from the chorus came a few years later with the Cole Porter musical, Can-Can. Verdon’s only featured number — a solo as Eve in the Garden of Eden — sparked a seven-minute standing ovation on opening night. The role also won Verdon her first (of many) Tony Awards. Verdon went on to star in six Broadway shows (five of those with the man who became her longtime creative partner and husband, director/choreographer Bob Fosse). She was nominated for Best Leading Actress for every Fosse production and won the Tony for her portrayal of Lola in Damn Yankees, Anna in New Girl in Town and Essie in Redhead. Her other two leading roles in Sweet Charity and Chicago remain just as — if not more — iconic. 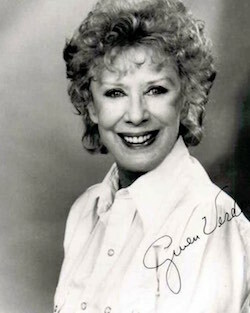 During her career, Verdon performed on nearly every television program, including Ed Sullivan, Danny Kaye, Carol Burnett and Garry Moore. She continued to act on screen, too, in television shows like Magnum P.I. and Captain Kangaroo. After Bob Fosse’s fatal heart attack in 1987, Gwen not only preserved but also revived his choreography on Broadway and in national tours of his shows. In 1999, Gwen went on to co-create the Tony award-winning Fosse, a three-act musical revue showcasing Fosse’s legendary choreography. 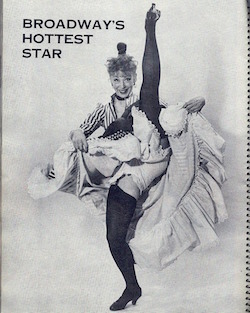 She donated over 50,000 artifacts (including photographs, scrapbooks, performance materials and correspondence) to the Bob Fosse and Gwen Verdon Collection at the Library of Congress in Washington, D.C.
And Verdon was just that — an incredible dancer, an acclaimed performer…with that little something more. Her integrity, work ethic, talent and charm set her apart as one of the greatest dancers in Broadway history. 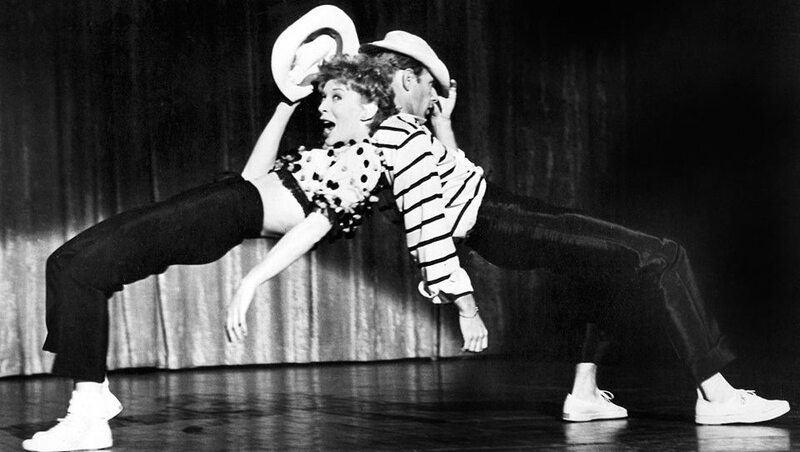 In 2012, Bob Fosse and Gwen Verdon’s daughter, Nicole, founded The Verdon Fosse Legacy, an organization still working today to protect, preserve and promote the artistic and intellectual property of Fosse and Verdon. 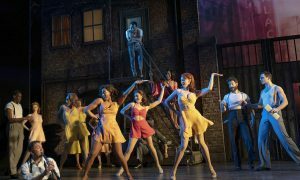 The Legacy oversees the licensing of Fosse and Verdon’s works and images and offers choreographic reconstructions, master classes and events to keep the work alive for future generations of dancers and audiences. Photo courtesy of LaDuca Shoes. 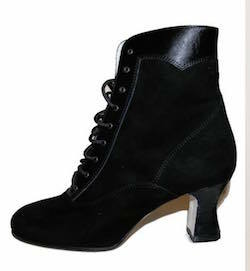 To honor the late, great Gwen Verdon, LaDuca Shoes is launching a limited edition dance shoe called the “Gwen”. Named after this Broadway legend, the stunning new LaDuca boot features a three-inch heel, a leather and suede dual finish, a medial zipper, and a soft, flexible sole. Only 24 pairs of this beautiful shoe will be available at the LaDuca summer sale July 28-29. Don’t miss the chance to get yourself a pair in homage to one of Broadway’s leading legends, Gwen Verdon.